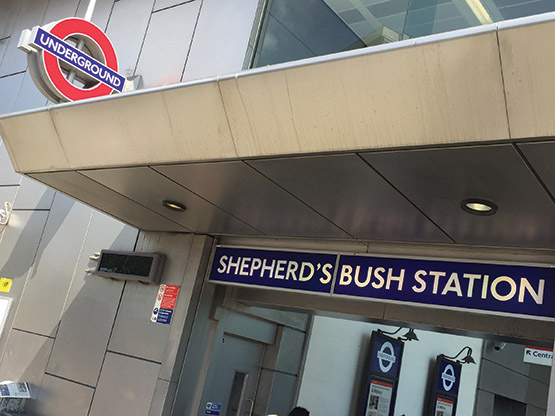 There is no other part of London that is as well connected as Hammersmith and Shepherd’s Bush. Local cycle networks, motorways, underground and national rail stations, bus routes – you are never more than a few minutes away from a transport link. There is the main line railway station located to the south eastern corner of the Westfield London complex which gives access to Clapham Junction to the south and Watford Junction to the North., which gives further access to the national rail network. Local bus routes are expansive and both Hammersmith and Shepherd’s Bush are extremely well served by a large network of bus networks both in to and away from Central London. The road networks also offer the motorist easy access out of and in to London. There are three motorways M3, M4 and M40 with in easy reach as well as the major arterial roads giving access to Central London and the South, North and West. Walking and cycling are by far the better mode of transport allowing the user time to really see the local area in far more detail. The council is continuously improving these networks for everyone’s benefit. .